Every law enforcement agency in California will be required to collect expanded statistics on violence between police and the public next year under a new state law that takes effect Jan. 1. And by 2017, the state could have something it's never had before: an accurate account of how many people are shot, seriously injured or killed by peace officers throughout California. Then the California Attorney General's Office plans to publish it. "The public and law enforcement need each other to keep our communities safe," Attorney General Kamala Harris said in a statement announcing guidelines for the new reporting requirements. "California is leading the nation in promoting accountability through open data, which will strengthen trust between law enforcement and the communities that we are sworn to protect." Heightened attention on fatal shootings by police officers in 2014 exposed what legal observers and some law enforcement leaders have variously called the "national embarrassment" and "travesty" that constitutes national data collection on deadly use of force by law enforcement. The only current official count is part of the FBI's Uniform Crime Report, which catalogs crime statistics voluntarily provided by local law enforcement agencies. But the FBI's data appear to miss more than half the fatal police shootings in the U.S. every year, counting 444 in 2014, and only one incident in which the fatally shot suspect allegedly had a knife. Criminal justice researchers have long estimated that more than 1,000 people are killed by U.S. law enforcement every year. "The Counted," a series by the UK Guardian attempting to tally fatalities at the hands of police, documented 1,126 killings in 2015 as of Tuesday. FBI Director James Comey said this fall that the bureau would step up its data collection next year, adding that a lack of reliable nationwide statistics on police use of force is "embarrassing and ridiculous," according to the Washington Post. "This undertaking will require tremendous effort and resources by our law enforcement and government partners, as well as the understanding of the media and the public," Comey said in a statement included in the FBI's "2014 Crime in the United States" report. "But to continue in our current system without comprehensive data only stalls meaningful conversation and fuels empty debates, both within law enforcement and in the communities we serve." By unofficial counts, California has consistently ranked as the deadliest state for police killings. With 207 this year, according to the Guardian, California police killed 100 more people than the state with the second-highest number of officer-involved fatalities. And state-level tracking has been rife with inaccuracy. 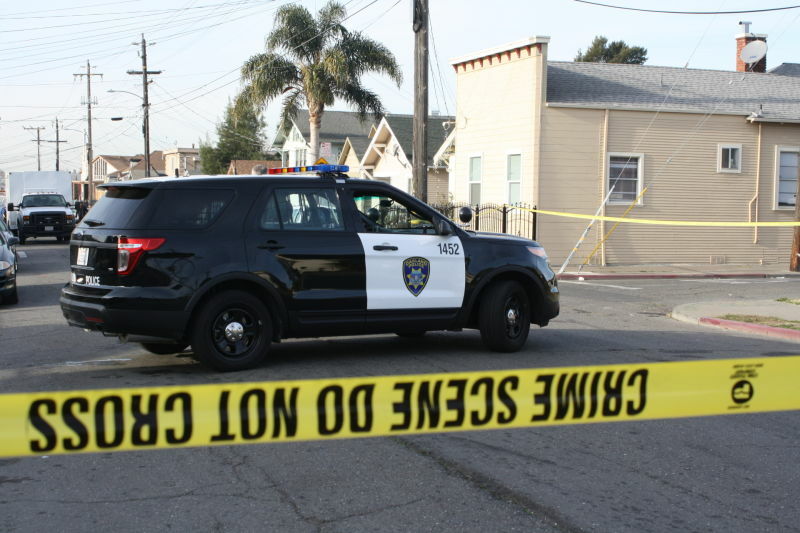 An Orange County Register investigation last summer found that at least one in five fatal shootings by police were never reported to the state. "That data typically has been incomplete," Daniel Suvor, chief of policy for the California attorney general, told KQED Tuesday. "About a third of police departments in California were collecting this type of information electronically. A third were collecting it on paper -- not tracking it electronically -- and a third weren’t collecting it at all. We thought it was important to inject numbers into the conversation." State Assembly Bill 71 requires law enforcement agencies to collect dozens of data points about every shooting or other use of force that results in serious injury or death. Local police and sheriff's departments will then report information that includes racial demographics, whether an arrest was made, the number of civilians and peace officers involved in the incident, whether the civilians were perceived to be armed, and what kind of weapon (if any) a suspect was confirmed to have. The law also requires local agencies to track civilian uses of force against law enforcement officers. "Not only does the bill require reporting where an officer is involved in a shooting as the shooter, but also when an officer is involved in an incident and is the victim," California State Sheriffs' Association legislative director Cory Salzillo told KQED. "What I hope will come from it is that there’s an understanding of how dangerous it is to be a law enforcement officer and the frequency of assaults committed against officers." The association neither supported nor opposed AB71, Salzillo said. He said assuming that providing more data on police use of force could increase trust of law enforcement "starts from a false premise." "I think there’s a misperception that communities don’t trust law enforcement," he said. "By and large, the people that live in communities respect law enforcement and they appreciate what law enforcement does." But another statewide policing organization, the Peace Officers Research Association of California, acknowledged a "crisis of confidence" between law enforcement and the public. "Law enforcement has shown we’re willing to be as transparent as possible to work with our communities to build trust," PORAC president Mike Durant told KQED, "but our communities have to be willing to work with law enforcement as well." The expanded use-of-force statistics will be included in the attorney general's "Open Justice" initiative, which publicizes California criminal justice statistics on a dedicated website launched in September. Suvor said additional statistics on crime, unemployment, demographics and truancy are on the way. "Later this spring, we’re going to be releasing several new data sets that will show a broader view of how we’re doing, from education to criminal justice," he said. "That’s how we are smart on crime -- take a look at the whole system."